The Lumix FZ2000 / FZ2500 is Panasonic’s flagship super-zoom, or if you prefer the term, ‘bridge camera’. It’s an update to the still available Lumix FZ1000 and like that model is based around a 1 inch sensor for better quality than the tiny sensors in smaller super-zooms. The lens has been upgraded with a broader 20x / 24-480mm range, and now employs internal zooming with enhancements that allow super-smooth and variable speed adjustments. 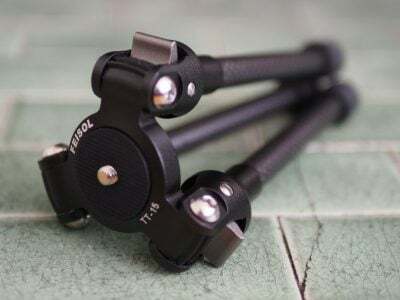 It also sports a built-in neutral density filter that can be adjusted between 2, 4 or 6 stops which is invaluable not just for videographers wanting motion-friendly shutter speeds, but also to still shooters who are into long exposures. That’s just for starters. There’s a new touch screen with all the advantages that brings, not least silent exposure control and focus-pulling for movies. The viewfinder is also a little bigger and now has an eye sensor for automatic switching from the screen. Many of the enhancements to the FZ2000 / FZ2500 are aimed at videographers. Panasonic is calling the lens a photo/video hybrid and that’s a description that could easily extend to the camera as a whole. The FZ2000 / FZ2500 effectively inherits all the pro video capabilities of Panasonic’s flagship mirrorless model the Lumix GH4, and adds a few extra for good measure. So in addition to 1080p video with a raft of frame and bit rates you get 4K UHD as well as the wider Cinema 4K format; Cinelike D and V with the option of adding V-log for around $99 USD. There’s also no limit on recording times other than battery life and the capacity of your memory card. Stills shooters aren’t ignored though. In addition to the benefits of a longer zoom and larger viewfinder, The FZ2000 / FZ2500 gains Panasonic’s innovative 4K photo modes which exploit the sensor’s ability to record 8 Megapixel images at 30fps for fast continuous shooting, the ability to set the focus after the event with in-camera post processing and a new stacking mode for extended depth of field for macro and low light photography. It’s an impressive specification, but up against another compelling premium super-zoom: Sony’s RX10 Mark III. Read on to see how they compare. The biggest competition for the Lumix FZ2000 / FZ2500 is Sony’s RX10 Mark III. It’s similar in many respects to the Lumix, with a 20 Megapixel 1 inch sensor, a marginally smaller electronic viewfinder with the same resolution, a 3 inch tilting screen with similar resolution and a broadly comparable (but not the same) range of video modes with 4K at the top. If you’re having trouble deciding between these two models there’s also loads to differentiate them, starting with their respective lenses. The Sony has a 25x zoom ranging from the same 24mm wide angle as the FZ2000 / FZ2500. but extending a bit further to 600mm equivalent compared with 480mm. It’ll get you just that bit closer in to distant subjects. The Sony lens is also a little bit brighter at f2.4-4 compared with f2.8-4.5. One other important difference is that the Lumix FZ2000 / FZ2500 lens now incorporates a pair of neutral density filters allowing you to reduce the amount of light it transmits by up to 64x / 6 stops in 2 stop increments. Interestingly, the RX10 III has lost the built-in ND filter which was included on earlier models, and even on the Mark II it was a basic 3 stop option. 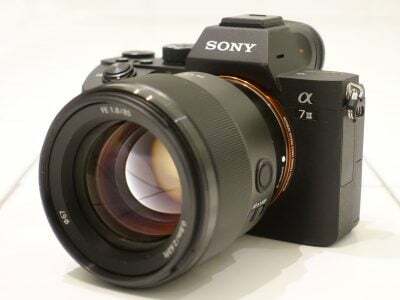 One thing in the RX10 III’s favour though is its lens has a smallest aperture setting of f16 compared with f11 on the FZ2000 / FZ2500, what’s more, the Sony lens has a dedicated aperture ring which can be configured for stepped or smooth operation. 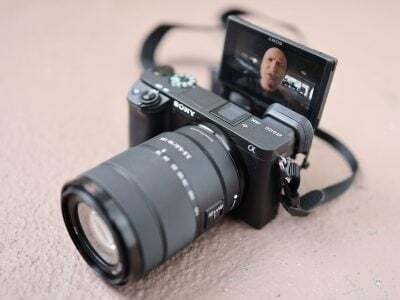 I’ve mentioned that the screens are the same size and similar resolution, but the RX10 III’s screen can only tilt up or downwards whereas the FZ2000 / FZ2500’s panel is side hinged and can face in any direction including forwards which can be invaluable for video recording. As importantly, the Lumix FZ2000 / FZ2500’s screen is also touch sensitive, allowing you to set the AF area or pull-focus with a tap, make silent adjustments during filming and much more. Which brings us neatly on to video. For anyone buying either of these cameras their video capabilities are likely to be at least as important as their photo features so how do they compare? In terms of quality both offer 4k modes but the FZ2000 / FZ2500 gives you more options with 4k UHD at 24p, 25p, 23.98 and 29.97p all at 100mb/s plus the wider Cinema 4k mode at 24p. Then there’s a huge raft of 1080 HD modes at bit rates up to 200mb/s. The RX10 III has a single 4K UHD mode at 24, 25 and 30p and 100mb/s and similarly a raft of 1080 modes. Where the Lumix FZ200 / FZ2500 offers a selection of variable frame rate options up to 120fps for a 4x slowdown, the RX10 III’s HFR modes go way beyond that with a fastest frame rate of 1000fps offering a 40x slow down. It’s also important to note the Sony captures the full-frame width when filming 4k (thereby not cropping the horizontal field of view), whereas the Lumix employs quite a tight crop for 4k which reduces the wide coverage, albeit effectively extending the telephoto end. Both models provide full PASM exposure control for movie recording, and exposure can be adjusted silently during recording using the FZ2000 / FZ2500’s touch-screen (which can also be used to adjust focus) or with the RX10 III’s stepless aperture ring. The new zoom buttons and the internal structure of the FZ2000 / FZ2500’s zoom provide better control of zooming for slower, smoother, and steadier results. Both models are fairly evenly matched for continuous shooting speeds using their mechanical shutters, but the FZ2000 / FZ2500 cleverly exploits its sensor to deliver 4k photo modes offering not just 30fps continuous shooting at 8 Megapixel resolution, but post-focus and focus stacking modes. Both models feature built-in Wifi and the Sony also has NFC so you can tap it with an NFC-equipped android phone for a quick connection. Other than that both offer quite similar Wifi features in terms of remote control (so long as you update the internal Sony app on the camera) and image transfer, though you can extend the RX10’s capabilities with downloadable apps. Battery life is significantly better on the RX10 III and you can charge the Sony battery in the camera over USB. The FZ2000 / FZ2500’s proliferation of programmable Fn buttons makes it more customisable. One last thing to consider is the Sony RX10 III is officially weather-sealed whereas the Lumix FZ2000 / FZ2500 is not. Depending on where you shop, the Sony RX10 III is around 30 percent more expensive than the Lumix FZ2000 / FZ2500. For many people that will be enough to swing it in the FZ2000 / FZ2500’s favour, given that these two models are closely matched in so many respects and the Lumix FZ2000 / FZ2500 is ahead in some areas, namely a wider selection of movie modes, fully articulated touch screen, slightly bigger viewfinder, better continuous shooting and better zoom control on the lens. The things that pull you back to the RX10 III are the weather-proofing, ultra slow motion video, 4k without a crop, USB charging and its lens, not just the longer range but the optical quality which outperformed the Lumix FZ2000 / FZ2500 in my tests. With so many enhancements and improvements though, it’s hard not to enthuse over the Lumix FZ2000 / FZ2500 which packs in a huge range of features at a very competitive price. As a high-end camera I do wish it had weather-sealing, but it doesn’t hold it back from earning a Recommended award. [Check prices at Amazon, B&H, Wex. Alternatively get yourself a copy of my In Camera book or treat me to a coffee! Thanks!